he NCCSA is a service organization that exists to provide member schools in North Carolina the opportunity to choose from any of the programs, services, or products that they feel will help improve the quality of their school, students, and staff. God Wants to Use You Recently I found myself looking out my cabin window at a beautiful, fresh Northern Arizona snowfall. I was in that place of great natural beauty to preach to a group of Christian men, challenging them to allow the Lord to use them in even greater ways. What an appropriate setting: mountains, lodgepole pines, elk, food, and fellowship with some good men!� How different it was from my normal setting. I am a city boy, born on asphalt and accustomed to ministry to urbanites. As I thought about that juxtaposition, it occurred to me how small I am and just how big my God is! How vast and diverse His creation, and how great His understanding and love for all places and all people! Like the Psalmist, I want to cry out:What is man, that thou art mindful of him? and the son of man, that thou visitest him?—Psalm 8:4That the God of creation would allow men like me to speak for Him is amazing! There are so many places and so many people that need to hear of our gracious Lord. We must seize every opportunity to witness of Him. Let me encourage you, that wherever you are, you would:See the LordI look at this majestic scene of mountains and woods, and it shouts the creative hand and power of God. His signature is in every hillside, in every towering copse of trees, and I hear Him in every rippling brook. He knows this place, and He loves the people who call it home. However, He also is aware of every city street; He is compassionate toward those who bustle along its crowded sidewalks. When they lift their eyes and see skyscrapers instead of distant horizons, He knows them and sees their need. It is God's heart that people in all the places of His earth hear His gracious call to salvation. Look for Him, for He is there.See the PeopleThough God made the heavens and the earth, His deepest love is for the men who occupy His creation. The heart of the western rancher has the same need as the eastern office worker and the midwest manufacturer. Choose any location on this globe, any color of skin, any nationality, and there will be two things true of every person: God loves them, and their deepest need is Jesus Christ as their Saviour. Education, culture, economics, and geography may change their lifestyle, but never their need of salvation. People need the Lord!See YourselfAs vast as God's creation is and as small as each of us are, God has a plan for our lives and a place for us to serve. For some, God has a very specific calling to a place. Some are called of God to a city, while others are called to some foreign mission field; and still others move and serve at God's direction in careers that we call secular, but are just as much a part of God's plan as the full-time servant.Regardless of where He places us or what our specific vocation might be, our greatest mission is to look with compassion on the people of that place and be the witness to them that God placed us there to be.As insignificant as we often feel, God knows where we are because He placed us there for a purpose. We may be small in comparison to His vast creation, but God put little old us in a very large place, so that we could make a very big difference! Last week, the California State Senate Health Committee approved in a 7-3 vote Senate Bill 24, known as the “College Student Right to Access Act.” This bill would amend the state’s public health code to require student health care clinics at all 34 California public colleges and universities to “offer abortion by medication techniques”—a.k.a “the abortion pill”—starting on January 1, 2023.You may remember a similar bill (SB 320) that went forward last year, sponsored by the same senator, Connie Leyva (D-Chino). Thankfully, this was vetoed by then Democrat Governor Jerry Brown, who saw the mandate as “unnecessary” since “the services required by this bill are widely available off-campus.” In his veto statement he says that “according to a study supposed by supporters of this legislation, the average distance to abortion providers in campus communities varies from five to seven miles, not an unreasonable distance.”The report he is referring to was commissioned by the University of California San Francisco (UCSF), which is advocating in favor of the campus abortion mandate! But thankfully, a distance of five to seven miles was too short even for Governor Brown, and only showed how college campuses are targeted by the abortion industry.SB 24 and last year’s SB 320 are virtually identical, with some changes in grant amounts and deadlines for implementation; other than that, they are the same in function. This means Sen. Leyva and other sponsors of the bill made no effort to fix the serious flaws with this type of mandate raised by both sides of the debate. Yes, even the universities themselves are apprehensive!To bring this bill up for a second time without addressing its many serious flaws shows a reckless disregard for the 400,000 young women on these 34 public campuses.In a previous blog, you can see what potential risks and liabilities would come with forcing colleges to dispense the abortion pill. Just two concerns (among many) about SB 24 are that this type of mandate once again has vague funding language and has no mention of support for women who choose not to abort and instead choose to parent the child.Like the previously failed mandate, SB 24 claims it would only take effect after $10.2 million in private funds have been raised for the costs of equipment and “readiness” as the legislation states, but the language of the bill leaves open the possibility of taxpayer-funded abortion after 2023. It provides no safeguards to prohibit state funds or student fees from paying for the ongoing support of the program. Public funding of abortion is something we already know that a majority of Americans strongly oppose, yet SB 24 takes no precautions to prevent that.In addition, this legislation offers no maternal assistance for women who choose not to abort! It just supports abortions. The Institute for Women’s Policy Research found that over a quarter of all undergraduate students are raising dependent children—yet no assistance is offered for them. Parenthood and education are compatible, and there are plenty of women who can prove that. To have a bill that purposefully goes out of its way to take away women’s children rather than help them raise their babies and continue their education is a slap in the face to “women’s empowerment” and grossly disregards the human dignity of the unborn.Any abortion, no matter what stage of pregnancy it occurs at, is a life-changing experience. 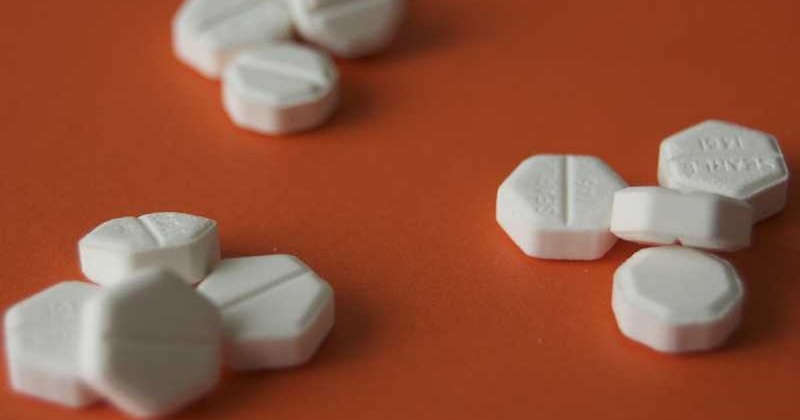 Even an early-stage chemical abortion can be quite traumatic. What makes chemical abortions unique from surgical abortions is that the mother will have to see and dispose of the remains of her aborted child. It is more than obvious that mental trauma would occur to a young woman who sees her abortion take place in her college dorm room or in a student health center bathroom. Is this really a good thing for a young college woman? I think not.All in all, this type of bill could care less for women—it only cares about expanding the business of abortion.Abortion proponents consider this mandate as model legislation for other states to follow, and California is vying to be the first state to implement it.The California State Senate Health Committee passed the bill. It will now be referred to the State Senate’s Education Committee before going before the full Senate for a vote.Sitting California governor Gavin Newsom has already insinuated his support for the bill, and this has given activists for SB 24 more optimism. However, it is still unknown how much support will actually come from the public universities themselves who remain apprehensive of the considerable liability that they would have to take on.To take action on this reckless bill, you can contact California legislators on our action page.